We are possibly just minutes away from the launch of iOS 8 for iPhone, iPad, and iPod touch devices. However, when you hit that install button to upgrade to the latest OS, make sure you don’t enable iCloud Drive – just yet! – RELEASED: Apple Releases iOS 8 for iPhone, iPad and iPod Touch! 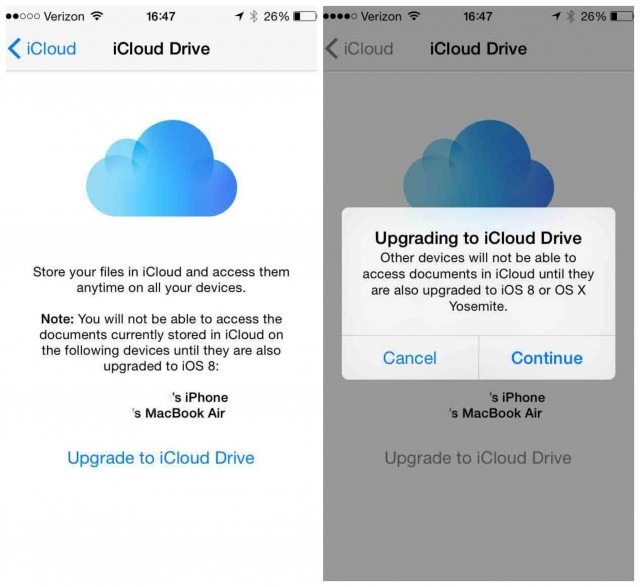 iCloud Drive is a part of Apple’s continuity features that will be launched with iOS 8. 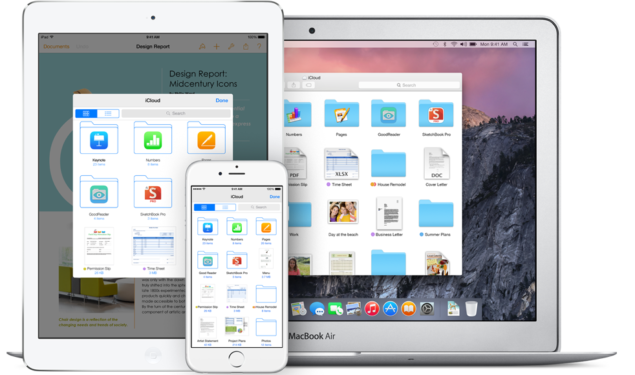 Like Google Drive or Dropbox, it lets you share files across apps on multiple iOS and OS X devices. However, iCloud Drive is onlycompatible with iOS 8 and OS X Yosemite. Which means once you enable this feature on say, your iPhone, you won’t be able to sync with your Mac which cannot be on Yosemite as it is not yet publicly released. So make sure you tap on the Not Now button for iCloud Drive during the iOS 8 set up process as this will keep iCloud’s documents and data sync with non-iOS 8 and OS X Mavericks devices. Don’t worry as you can enable this feature later on. Once OS X Yosemite is available and you have iOS 8 on all of your mobile devices, you can go to iOS device > Settings > iCloud > iCloud Drive and ta da!